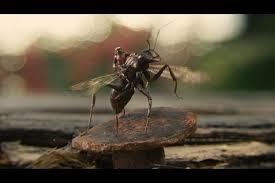 When I first heard Marvel was going to make an Ant-Man movie, to say I was skeptical is a textbook understatement. Ant-Man? Were they kidding? A superhero who shrinks to the size of an ant? What could he accomplish? Quite a lot, as it turns out. The more I saw and heard about the movie, the more eager I was to see it. I was not disappointed. This is Marvel's best since Guardians of the Galaxy. It has just the right balance of action and humor. With fewer characters, there's more room for character development--and what characters they are! The story opens in 1987 at SHIELD headquarters in Washington DC. 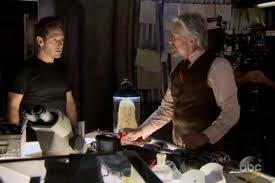 Scientist Hank Pym (Michael Douglas) is confronting SHIELD director Peggy Carter (Hayley Atwell), co-founder Howard Stark (John Slattery) and Mitchell Carson (Martin Donovan) about unauthorized use of his discovery. After punching Carson, Pym walks out. Fast forward to the present. 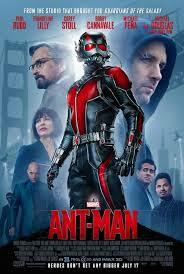 At the San Quentin prison, Scott Lang (Paul Rudd) is about to be released. He's picked up outside the gates by his former partner in crime, Luis (Michael Pena). Luis has a tip for a hot job, but Lang declines. He's determined to go straight--but his plan goes awry when he's fired from a job at Baskin Robbins and kicked out of his young daughter's birthday party. He decides to join Luis and their friends on the aforementioned heist. He breaks in the home of a retired scientist (who turns out to be Hank Pym) and opens the old basement vault--where he finds only what appears to be "an old motorcycle suit and helmet." He takes the suit--and soon discovers its incredible secret. It reduces him to the size of an insect. He also discovers that Pym wanted him to break in, to take the suit. Pym offers him a second chance, a chance to become the hero his little girl believes him to be. All he has to do is steal something. Lang has his doubts, but agrees to work with Pym. He finds he and Pym have something in common: they both want to improve their relationships with their daughters. Pym's daughter, Hope Van Dyne (Evangeline Lilly), has been estranged from him since the death of her mother, Janet, Pym's late wife--which is why she's taken her mother's maiden name. 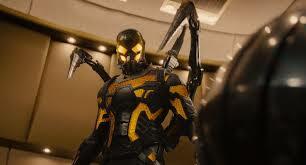 She's come to her father now because his former protege, Darren Cross (Corey Stoll), is close to duplicating Hank's Pym Particles, which allow one to reduce in size but increase in strength, and is planning to sell Yellowjacket suits similar to Pym's Ant-Man suit to Pym's old adversary, Mitchell Carson--who, it turns out, is an agent of HYDRA. Hope wants to put on the Ant-Man suit and do what needs to be done herelf. As she points out, she knows her way around Pym Technologies and has the trust of Darren Cross. Hank won't hear of it. The suit has taken a toll on him, and though he's never told Hope, it was responsible for the loss of her mother. First, Lang must retrieve something of Pym's from an old Stark warehouse in upstate New York. Trouble is, it's no longer an old Stark warehouse. It's now an Avengers facility--where Ant-Man has a fight with Falcon (Anthony Mackie). Will Lang, Pym and Van Dyne succeed? Will Pym ever tell Hope how her mother really died? Is Janet really dead? Will Scott Lang be reunited with Cassie? Will Falcon come looking for Ant-Man? And above all, will there be an Ant-Man 2? I sure hope so! PS Be sure you stick around for both end credits scenes! Very, very good review! We both had a blast watching this one. Great review! Almost made me want to see it. But not quite. Cheryl: Live a little! Have some fun! I will probably wait for Netflix. Just saw Jurassic World, it was fun. The Minions are next and I can't wait. I want to see Bridge of Spies, the trailer looks really good and I remember the whole Cold War U-2 pilot spy exchange even if Spielberg is directing. But if he has another precocious child speaking wisdom I will puke. Plus I hope he doesn't uses his typical heavy handed links to contemporary politics, it does get tiring. You always make your movie reviews sound like such a fun. You and William are the best ! Gayle, I think you'll really like Ant-Man. I go to the movies to be entertained. I tend to avoid "message" films. I don't particularly want filmmakers, actors, etc. trying to spoon-feed me their political views. 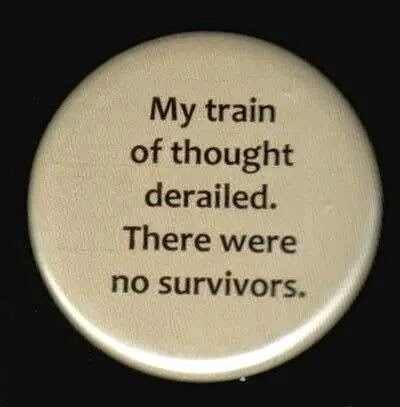 I'm perfectly capable of making up my own mind. If I want politics and news events, I can get that for free on TV. I want to be entertained ! This sounds pretty exciting for a movie about an ant man. I hope to see it someday. Loved your review. Eve, you must have the world's longest bucket list. I've lost track of how many times you've said "I hope to see/read it someday." Someday. I stopped doing someday a long time ago. I'm always afraid I'll croak before "someday" comes and I'll miss out. The Best Times to do What??? Flashback Friday--Those Were the Days!